I know I’ve logged some time living in the closet, keeping secrets, saying one thing out loud but believing something else in private. I know what it’s like to fear for your job or relationship, to worry that if the other party knew what you really thought, felt or did you might lose something that you can’t imagine having to replace. That’s not healthy. It’s certainly not God’s intention. God wants us to live lives of authenticity. What keeps us from living like that, though, is that we’re afraid – sometimes justifiably so – of how people will respond to us. If others really knew the truth about us, they might reject us. So, we go on hiding, trapped in a closet of our own making. The cost of living a fear-filled life is incalculably high. From my own experience, I can tell you that living in fear eats away at your self-esteem and makes you feel hollow. Living in fear causes stagnation instead of growth, and you live with the pain of unrealized potential. Living in fear costs you joy. Living in fear leads to regret as the “what ifs” slowly turn to “what might have beens”. Hiding ourselves actually produces the feelings of isolation we’re attempting to stave off by hiding in the first place. We carry deep within our hearts the certain knowledge that you can only be loved to the degree you’re accepted. But you can only be accepted to the degree you’re known. If we’re never willing to let others know who we truly are, we’ll never be truly accepted and truly loved. Worst of all, living in fear is contagious. It’s practically an epidemic in our society. And the one place where there should be no fear should be the church. After all, doesn’t perfect love drive out fear? The church ought to be a place where you can bring stuff into the light, so you can find acceptance and community and healing – for the sin you’ve committed and the sins that have been committed against you. If you feel shame for things you’ve done – well, that is appropriate at times. But you should never feel shame for being a sinner just like everybody else. We’re all sinners by orientation and by action. None of us can fix our sinful orientation. In fact, I’m not even sure I can trust myself to know exactly what’s wrong with me – that’s how broken I am. I am broken to the point of being disoriented about (and by) my own orientation. The Bible refers to this as a “sin nature”, and it says we’ve all got one. “For all have sinned and fallen short of the glory of God” (Romans 3:23). Some of the things I think of as good traits are part of what’s messed up inside of me. I can’t tell what to keep and what to chuck, so I bring the whole shattered mess to God and ask him to help me, to heal me, to fix me. I know it’ll be a difficult and painful process. I also know it will involve me cooperating with him by saying no to certain things I want and saying yes to certain other things I may not want. This is how it is with all of us. Christians would be wise to remember this and extend grace and mercy toward all of our fellow sinners, regardless of their orientation. It seems to me that a lot of people think following Jesus comes down to exterior compliance. Performance. Behavior. We tend to equate discipleship with activities first. Attend this event. Participate in this program. Learn this material. Practice these five steps to maturity. Lather. Rinse. Repeat. But, in teaching folks to work, give, go, do, we've neglected the simple fact that this is not how Jesus taught people. This is, quite simply, one of the most frustrating things about Jesus: He rarely gave us an outright command. More often than not, Jesus told us how things are and expected us to internalize that thought and adjust our behavior accordingly. Jesus taught people to follow him from the inside out. Adjust the inside, address the disorder of your heart and mind first. Then, with a new heart and a renewed mind, allow that internal reality to work its way out through your behavior. The sad truth is, performance-driven discipleship has not produced courageous, healthy, self-starting followers. Instead, it's created disillusionment and apathy. The gospel must first be allowed to impact the inside of us -- the self, the ego, the libido, the imagination, the ambition, the passion, the soul -- what Gordon McDonald calls "the life below the waterline" -- if it's ever going to provide the lasting change it promises. We must wean ourselves from this obsession with superficial, performance-based cosmetic changes and learn to follow Jesus again from the inside out if we want to be that city set on a hill like Jesus wants. But how do we do that? And why is that so counter-intuitive? We've talked about this before around here, but let's re-visit that conversation. Why do so many preachers fail to teach the way Jesus did? Why are sermons so full of tips on how to change your behavior but so empty when it comes to new ways of thinking? To my knowledge, I've never actually met Darin. If I have, I apologize for not remembering. Darin's a pastor, and we've had some interesting discussions here about things related to church and Jesus and how the church can look more like Jesus. He's got his own blog where he talks about this kind of stuff, too. Anyway, in my last post I asked the following question: "Do you know of any places where they’re actually doing something different and it’s working?" Darin wants to know, "How do you define working?" Now, I've written about this a lot. You could probably click on the "Church" category over there in the sidebar and read a lot about my ideas of how churches can, do and should define "success". But I'd rather have some dialogue around here. It's been pretty good lately. So, let's hear your ideas. What does it look like when a church "works"? How does your church define "success"? Also, I did ask more than one question the other day. I also asked, "What’s the difference between a reactive church and a proactive church?" In my opinion, that's a really, really important question that few churches have resolved well. As I mentioned in the last post, I really appreciate Ed's work and the way he approaches this whole conversation. He refuses to make it into an either/or argument and insists on making it both/and. God can, has and will continue to be at work in megachurch settings and in house church settings, in huge gatherings and in small groups, in places where there are rocking worship bands and fog machines and in places where they sit in the round and sing a cappella. Ed talks about how it's easy to think of those who advocate more missional churches -- particularly those who self-identify as "emergent" -- as "the angry, white children of evangelical megachurches". In my experience, many of the "emergent" guys I know fit that profile pretty well. They grew up in the suburbs, going to their local "Mall of Jesus" on Sunday mornings, never seeing beyond their own zip code except to take that summertime mission trip with the youth group. At some point in time, they developed a conscience that calls them to do something to help alleviate the mass of suffering in our world and apply the gospel to something more than just getting into heaven when you die. Now they have equated suburban apathy and excess with that megachurch upbringing. In fact, some I know have made the latter the cause of the former. The problem is that being missional or emergent or whatever you want to call it has just been reactive in many places and has not developed into a proactive movement. There are a few examples we could point to, but, by and large, that's how it appears. They know what they aren't; they don't know what they are. At least they don't know how to articulate it yet. This is, I think, what Ed is talking about when he says we need better stories. People do not gravitate towards whoever is right. Nor do they gravitate to whoever is loudest. They gravitate towards whoever presents the clearest picture. People are drawn to clarity. This is why traditionalists so often "win" in these arguments -- at least on a corporate level. The traditionalist can point to the way we used to do it, and people can see it clearly in their heads. Upstarts who say, "Well, I don't know what it's going to look like because we're just going to let the Spirit lead us" often find people respond by saying, "I appreciate that sentiment, but I'm not going to give you any money." Michelangelo once said, "Criticize by creating." In other words, let's stop bashing the church, announcing what's wrong with this model or that model, and let's start creating a biblically-driven, missionally-engaged alternative that thrives, that flourishes. Then, as people and communities are truly transformed by the power of the gospel at work in, among and through that new model, let's celebrate and tell that story of how God has created something different, while still acknowledging that God continues to work in ways that are familiar to all. Why do you think this conversation so often becomes an either/or instead of a both/and? What's the difference between a reactive church and a proactive church? Do you know of any places where they're actually doing something different and it's working? Ed was preaching at First Baptist Church of Hendersonville, TN, at the time. He says he was the interim pastor for them -- a megachurch of just over 9,000 people -- 94% of whom were involved in small groups. That's remarkable and commendable. Ed also accurately diagnoses one very big reason why Christians are often attracted to megachurches: they feel the need to hide and heal. This is important and can be healthy. However, Christians are not meant to hide and heal forever. Perhaps it's appropriate for a season, but who is in a position to tell these people, "It's time to get back in the game"? I also think Ed gets it right when he says that asking if "megachurches" are good or bad is the wrong question. The better question is, "Are there good megachurches and bad megachurches?" The answer to that is, obviously, yes. I love Dave's statement that the goal many people have of turning their church into a megachurch -- or, worse, believing that mega is the only way to be effective -- is misguided. Ed's response is classic Ed: "I want those pastors to have a multiplying vision, not a mega vision." "Can A Megachurch be Missional?" by Dave Fitch -- If you read this article, please read Dave's last paragraph -- the part where he says, "I believe the work of the mega-churches is valid and has its place in the Kingdom: the ministry to the dormant unchurched of Christendom." If we're going to have this conversation, let's please be charitable toward those with whom we disagree, okay? BTW, if you haven't figured it out yet, I'm firmly in Ed's camp (though I completely agree with everything Dave says about the dangers of video church). Ed has actually written about this as well in an article challenging many of the assumptions of multi-site churches. Okay, there's a lot of thought-provoking material in there for us all. Thoughts? Comments? Observations? I love Ed's perspective that missional isn't about our own preferences but about getting on board God's mission. I love Dave's perspective on incarnational evangelism as opposed to what we've traditionally known as evangelism. I'm writing a lot about that in the next book. I also love how Ed nails down the fact that movements like attractional and missional often end up spending too much time and energy recruiting other Christians to their model. I also really like how they both challenge the assumption first stated by Frost & Hirsch but echoed in lots of places (including on this blog) that ecclesiology simply flows out of missiology which flows out of Christology. There's a lot in that idea I like, but I have some reservations -- maybe some of the same reservations Ed and Dave have. The term "missional" is being used a lot nowadays, but very few people know what it means. It's become kind of a junk drawer for everything people would like to see fixed in local churches. Some people talk about adding culturally relevant music to their Sunday morning gatherings and say it's important because they're trying to be "missional". Others talk about serving the poor as a way of being "missional". I have a friend who is not planting a church; he is planting a "missional community". It seems to me, though, that a group of people who are committed to joining God on his mission to redeem and restore the world might do things like...I don't know...gather together regularly to worship corporately and learn from one another and encourage one another and pray for one another and other things that might look an awful lot like...I don't know...a church. Has missional become the new inconceivable ("You keep using that word -- I do not think it means what you think it means")? We covered this territory back in March of 2007 when I was reading a book called The Shaping of Things to Come: Innovation and Mission for the 21st Century Church by Michael Frost and Alan Hirsch. It's come up again in light of our recent conversation. Plus, we've added so many new readers to this blog in the last two-and-a-half years, it might be beneficial to revisit topics like this every so often. JamesBrett has been hinting around this thought, but let's go ahead and state it explicitly. There is a movement among church leaders towards a more incarnational approach to ministry and away from an attractional model of ministry. In other words, these leaders believe we ought to do less "inviting" and more "investing" -- less "come and see" more "go and do" evangelism. At least, I think that's what the whole attractional vs. incarnational thing comes down to. Am I missing something. Let's start with this question: Why is attractional so bad? 1. What is an attractional model of church? Did my description above get it right, or did I miss something? 2. Why is that model so bad? Every generation it seems wants a silver bullet. They want the secret formula for instant church growth. Do this. Say that. Play these songs. Preach those sermons. And...voila! You’ll be doing four Sunday services just like the big boys do! Yeah...it doesn’t work like that. The most effective strategy (ironically, it’s the most biblical strategy as well) for evangelism will always, always, always be one-on-one, one person telling another person what God has done in and through his life. Jesus told his followers to be witnesses -- to just get out there and tell folks what they'd seen and heard. And that's precisely what they did. Theologian Michael Green says the message of the gospel spread in the first century like gossip over the back fence. That's how they turned the world upside-down in a generation. At North Point – perhaps the most innovative and techno-savvy church I know – they call that strategy “Invest and Invite” (I know -- how lo-tech can you get?). Regular members just invest in other people and wait for an opportunity to invite them to a church event. That’s it. No smart lights or high-speed internet connection needed. Andy Stanley isn’t even involved in most of it. It’s old school and unsexy, but it works to the tune of, like, 500 baptisms per year at the Alpharetta campus alone. And it's worked consistently like that for the last decade. If any other church had a program that boasted numbers like that, we’d be knocking down their door, begging them to put it in a box and giftwrap it for us. If First Baptist of Podunk, Utah, had a Halloween Trunk-or-Treat Hell House Extravaganza that brought in 500 new people each year – if Trinity Presyterian of East Bumble, New Mexico, came up with a personalized automated email marketing software that got around all those pesky spam laws and guaranteed you one new member for every 25-30 current members – we’d be screaming to the top of our lungs: SHOW US HOW TO DO IT! WE DON’T CARE HOW MUCH IT COSTS! But this? This involves things like people...having conversations...with other people...who don’t go to church. And that might be...uncomfortable. Give us doorhangers to hang on people’s doors. Give us postcards to mail to people’s homes. Give us clever slogans we can put on our church marquees. Better curriculum. More creative programming. Cooler music. A better website. Give us a spiky-haired preacher wearing a long-sleeve striped shirt untucked and $300 jeans. But please do not ask me to go next door and ask my neighbor if he needs help with anything. And, if you do, you better pray he doesn’t ask me anything about Jesus or God or the Old Testament or gay marriage or why I voted the way I did. I’ve had the opportunity to spend a lot of time among the cool churches (you know...Willow Creek and Saddleback and North Point and all their buddies who make fun of churches like yours). I’ve gone to their conferences and listened to their pastors. Some of those guys are my friends even. And, while I have some pretty serious reservations about some of what they’re doing (especially video church), you can’t deny the fact that they do evangelism pretty well. These churches baptize hundreds of people each year by creating a safe place for people to bring their spiritual questions and explore their faith. They've figured out ways of presenting timeless, biblical truths to people in timely and relevant ways. Can we be honest about something? You may (like Jeff told about in his comment) have gotten saved at a VBS in the 70s, but it rarely works like that anymore. More often than not, (like Iz said in his comment) VBS is just free babysitting for people who already attend church somewhere. I’m not saying it’s wrong or bad or evil. I’m just saying it’s not outreach. Or, if it is, it ain’t working because these churches have been teaching kids the motions to Father Abraham the whole time while the percentage of Americans who self-identify as “Christian” has steadily declined. 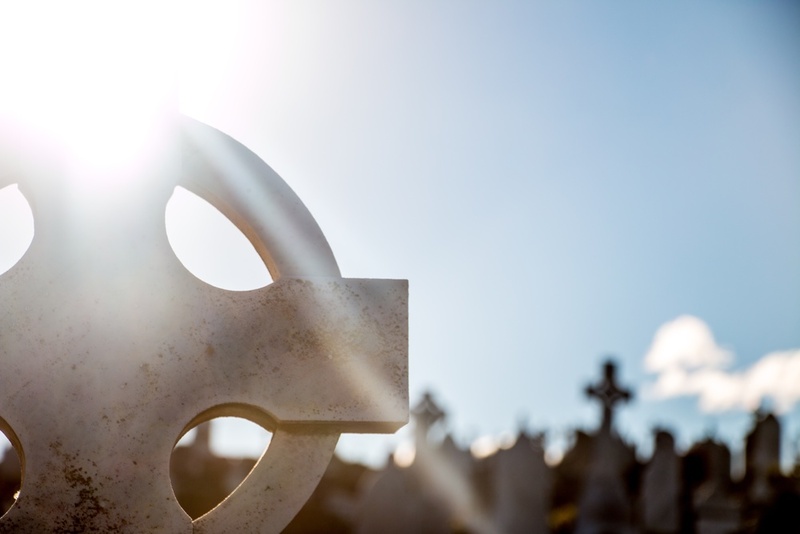 In the past quarter century, the combined membership of all Protestant denominations declined by 10 percent, while the national population increased by nearly 30 percent. In that same time period, the average size of the average church in America dropped 10 people. In an average year, half of all churches do not add one new member through conversion growth. Most churches average one new convert per year for every 85-90 regular adult attendees. I may never ride in the cavalry, shoot the artillery or fly o’er the enemy, but I know the Lord’s army (“Yes, sir!”) isn’t making much progress here at home. At some point, don’t you think we ought to look at this honestly and say, “Maybe we should stop what we’re doing that isn’t working and try something else”? This is a consistent problem that isn't just limited to VBS. It applies to Sunday School and door knocking and a whole host of other things that used to work but don't anymore. Why do we have such a hard time admitting that something doesn't work anymore? And what do we do when it stops working? It's November, and the dog days of summer are a distant memory now. So, I figure that gives us a chance to discuss something in a calm and reasonable manner. At least that's what I hope. I'd like to discuss...Vacation Bible School. It’s no overstatement to say that Americans may very well constitute the largest unchurched people group outside of India and China. As many as 240 million Americans are unsaved, unchurched and unevangelized, and that number is growing. Now, I understand that the best programming in the world can’t lead a person to conviction and conversion – people have this notoriously stubborn thing called their sin nature and, when it gets combined with their free will (sorry, Calvin), it makes them so hard to convert that only God himself can do it (sorry, Arminius). I also understand that the effectiveness of our evangelistic work is terribly difficult to guage. A lot of good, no doubt, takes place beneath the surface, as the seed of God’s Word penetrates the soil of a human heart, germinates and begins growing long before any visible shoot appears. When a person comes to faith (or when faith comes to a person – whichever you prefer), rest assured much work has been done – seen and unseen – to prepare the soil, sow the seed and cultivate things before any harvest is reaped. That’s extremely biblical language for evangelism, by the way. Jesus taught in an agrigultural context, so that’s the metaphor he used. I have never been a farmer, so it feels strange for me to use that terminology, but there it is. I trust you can understand the word picture. So, having said how difficult I know it is to measure the effectiveness of our evangelistic attempts and having said how our best attempts to evangelize others could never make someone get saved, I still believe we ought to be rethinking some things when it comes to sharing the message of Jesus with those who are currently outsiders to the Christian faith. For example, Dr. Ed Stetzer of the North American Mission Board has done a ton of research on how churches conduct outreach. He found that the number one outreach program – used by nearly 85 percent of Southern Baptist churches in 2008 – is...Vacation Bible School. Eight-five percent. Vacation Bible School. Really. Of course, having grown up where and when I did, I have fond memories of Vacation Bible School. Puppet shows. Memory verses. Booster, booster, be a booster and all that. But can someone tell me honestly why in the world we need 85 percent of the 42,000 Southern Baptist Churches in America (that’s 35,700 churches, btw) doing VBS? Does your church sponsor a VBS? If so, can you help me understand why? Most people do not like to sing. I have no research on this, and my personal circle of friends has kept me believing otherwise all these years. But this morning, as I was staring at a blank white page on my computer monitor, distracting myself with the Internet and drinking coffee (ah, the life of a big time author! ), that sentence formed in my head and would not leave me alone. Most people do not like to sing. In fact, when asked to sing, most people come up with any and every excuse imaginable. They hate the sound of their own voice. They don’t know the words. Can’t remember the tune. Have a sore throat. Recently had surgery. They'd rather let you measure their body mass index than burst out singing in public. Now, maybe if you’re out with some friends, throwing back in some margaritas in a dimly-lit bar near the airport and some tragic Muzak arrangement of a Billy Joel song comes on, your inner “Piano Man” will come out. Or if you’re in Japan, where the mysterious fascination with Karaoke still hasn’t subsided. But most people – regular people – do not like to sing. I grew up among singing people. Our church had no piano, no organ, no guitar. We had people, and the people raised their voices in song every Sunday, singing in four-part harmony. We knew the harmony lines to everything from "How Great Thou Art" to "Jesus Loves Me" to "Happy Birthday" to "For He's a Jolly Good Fellow". Seriously, we flocked to four-part harmony like geese take to a V-formation; it was instinctual. I think there was a time when it wasn't just in church where you found yourself singing. People used to sing at baseball games and Rotary club meetings. Obviously, singing "congregationally" was part of pub life in a lot of places, and patriotic songs galvanized people in a way speeches never could. To my knowledge, though, church is now the only place where most people might find themselves expected to sing. Is that weird? The Bible not only commends singing; it commands it -- several times. Now, if most people do not like to sing, why in the world would God command it? Is it good for us somehow? Are we missing something by not singing? Building the Parthenon: Why Bother? Greetings from Louisville, Kentucky -- land of blue grass, horse farms, good restaurants, bad service. My wife and I drove up here Tuesday after dropping the kids off with my parents. I don't know if I've mentioned it here or not, but I'm sort of looking for a job, and I figured this North American Christian Convention up here in Louisville might be a good place to do some networking. So far...not so much. I know I've said it before, but I just don't get the whole Christian Convention culture. Perhaps, if I were more connected, I would feel differently. It does appear that there are some who are having something akin to a homecoming here. Maybe that's the whole rationale: have a big once-a-year gathering where you can see folks you haven't seen in ages, sing some of the old songs, learn a few of the newer ones, sit in on a creative and energetic Bible class (that Jeff Walling is such a cut-up! ), eat out in restaurants for every meal and stay in a nice hotel. I did go to a really solid workshop yesterday. Tim Woodroof talked to a room full of preachers about preaching as architecture. Using the guys who designed the Parthenon in Athens (Greece) and comparing them with the Apostle Paul's instructions in 1 Corinthians 3, Tim talked about how preachers really need to elevate their game. "Build a Parthenon," he exhorted the room. "Don't settle for a squat, dull Soviet housing structure with no beauty." Everything was great until the Q&A session after Tim was done presenting his material. Why, oh, why can't preachers just ask questions? Why, oh, why must they feel the need to show everyone in the room how smart they are and that they probably should have been asked to lead this workshop? One guy -- who is probably a nice guy -- said, "I don't think 80% of my congregation could tell the difference between a bad sermon and a good one." Was he trying to justify his rationale for having settled into "a squat, dull Soviet housing structure with no beauty"? I don't know; I've never heard him preach. I can't judge. I can say his comment was offensive to me -- not in a thin-skinned "I'm going to talk to the board of elders about this" sort of way. It was offensive to me because that guy gets paid to do something I love to do and believe in so powerfully that I've done it for free when I had to. To suggest that the listeners can't tell when you're really trying and when you're just "phoning it in" is...well...it's offensive to me. I have high hopes when I preach. I actually believe words have power, and I affirm Tim when he said that preaching is nothing less than partnering with God in the process of spiritually transforming the lives of individual Christians, a corporate body and the entire world. What about you? Do you still believe a sermon can change your life, the life of a church and the course of human history in our world? Or was that guy right when he said that people don't know a bad sermon from a good one? The question I was asked is this: What would you say are the three most important factors determining whether a church thrives or struggles? The way a church defines success. The willingness to honestly measure success. The ability to strategize for success. What do you think of that answer? Did I leave anything out or miss something? I'm really enjoying all the interaction lately, so speak up!